I’ve followed the ins-and-outs of Raleigh’s Carlton Place before the Wallace Deck/Lot #5 developments took flight. 64 of the 80 units – ranging in size from 800 to 1200 sq./ft. – are priced so those making %60 of Wake County’s median income can afford one. Market rates aren’t too shabby either (market/affordable): 1 BR/1 BA $700/$550 or less, 1 BR/1 BA (with Den) $750/$570, 2 BR/2 BA $875/$600, 3 BR/2 BA $1,100/$670. Located at the intersection of E. Davie Street and S. Bloodworth Street, less than two blocks from Moore Square, City Market, and the Exploris and Moore Square Museums Magnet middle schools. Its central location provides residents with easy access to all of downtown’s employment, shopping, professional services, public transit, and cultural and recreational opportunities. Amenities found at Carlton Place include on-site management and maintenance; a variety of one-, two- and three-bedroom floor plans ranging from about 800 to 1200 square feet; a fitness room, business center and laundry room; walk-in closets; washer and dryer hook-ups; cable television and Internet connections; a picnic area and tot lot; and private, off-street parking. In addition to the on-site amenities, the project was built to include green design elements that help make it an environmentally friendly and cost-effective place to live. Among the green features of the project are: Energy Star appliances; high efficiency heat pumps; low-VOC carpet and paint; carpet padding made from recycled materials; pervious concrete; and native, drought-resistant plants for landscaping. Off street parking? Are they nuts? By contrast, the Lot 5 development offers compact affordable units: “21 one-bedroom units be provided in the project, with a square footage averaging 643 square feet.” Qualification starts at %80 of the regional salary (little less than $50K), with the purchase price set accordingly (to what someone earning $50K/year could “afford”). Condo fees capped at %1.5 of that sales price of the affordable units plus utilities. Of course, folks will “own” their apartment on Lot #5 while those at Carlton Place will only rent. Chapel Hill’s condo owners, then, will experience a modest growth in equity and see a return on their investment (minus the %1.5 yearly fees) while those in Raleigh don’t. Meadowmont developer Roger Perry is planning a major project that challenges the town’s inclusionary affordable housing model. In exchange for the town’s approving high density — half a million square feet on 11 acres — Perry is offering to double the town’s requirement: 30 percent affordable housing, or 60 out of 200 condos. Robert Dowling, executive director of the nonprofit Orange Community Housing and Land Trust, praised the idea. But he urged the Town Council to reject it. Dowling said the flood of condos would be harder to manage because condos are smaller starter homes that few people would live in for very long. Perry’s East 54 units “one- and two-bedroom units would range in size from 700 to 1,000 square feet and would be priced somewhere in the low $100,000s”. Bigger, cheaper but will churn faster than those condos on Lot #5? Doesn’t compute. Back to Raleigh, the taxpayers’ outlay was at least 5-fold less than our taxpayers, $1.5M to our $7.5M. A $1.5 million loan from the city and county helped the non-profit housing company, DHIC, develop a $10 million project. Apartments are available to families earning 60 percent of the median income. In Raleigh, that’s $43,000 for a family of four. Larger, cheaper units with on-site parking, no condo fees, many amenities without creating a slew of publicly financed million dollar condos? That computes. What about that housing cost disparity? “It’s so important for downtown to give opportunities for multiple classes to help build a life in downtown,” said Kris Larson, deputy director of the Downtown Raleigh Alliance. It allows people who work in the service industry downtown to live downtown. “If only people who can live here have to buy a $350,000 condo, what kind of community is that, it’s not very diverse or vibrant,” said Natalie Connell, of DHIC. 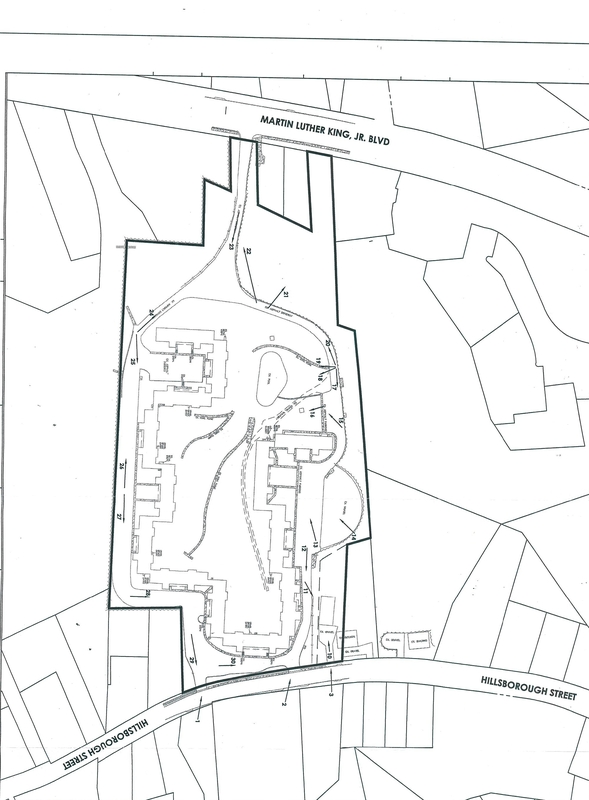 What kind of mix of residents will live in our publicly underwritten Lot #5? Well-to-do students, young professionals, retirees that can drop between $300,000 and $1 million plus on housing? Eight of the units are set aside for, and affordable to, persons with disabilities. Additionally, 4 units are fully accessible to people with mobility impairments, including curbless showers. One resident benefiting from this is Raleigh native and reigning Ms. Wheelchair North Carolina, Ms. Kelly Woodall. Carlton Place also received a grant from the Home Depot Foundation to incorporate “Green” elements in the design of the development. Carlton Place features Energy Star appliances, low VOC paint and carpet, pervious concrete, low flow plumbing, and solar reflective roof membranes. According to Gregg Warren, Executive Director of DHIC, the first residents are employees of The City of Raleigh, Wake County Public Schools, Blue Cross Blue Shield, Capital Area Transit, retail businesses, state government, and Wake Med. Many are now able to walk to work. 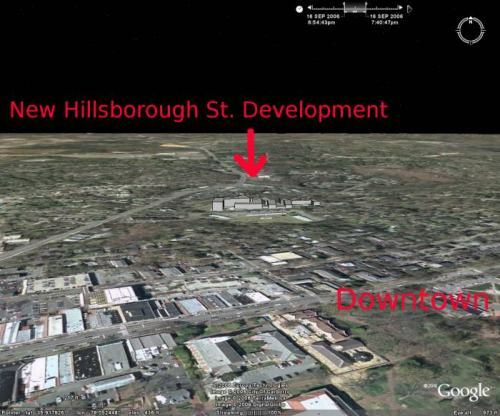 DHIC is also the developer of Murphy School Apartments and the Prairie Building in downtown Raleigh. End of the day? If increasing Downtown’s population, diversity and vibrancy in a sustainable, environmentally sound fashion is your goal, Raleigh’s Carlton Place suggests some solutions. These figures do not include numbers of people who are “doubled up,” that is without a legal residence of their own and temporarily staying with another person. Furthermore, the data does not account for people who are at-risk of homelessness for any reason including unemployment, foreclosure, eviction, chronic or sudden illness and domestic violence. According to the 2000 U.S. Census, 40.5% of renters in Orange County pay 35% or more of household income toward rent which qualifies as at-risk of homelessness. A minimum wage earner (earning $5.15 per hour) must work 117 hours per week, 52 weeks per year, to afford the fair market rent (FMR) for a two-bedroom unit, which is $785 per month. An SSI recipient (receiving $603 monthly) can afford monthly rent of no more than $181, while the fair market rent for a one-bedroom is $603 (Out of Reach Report, 2006). In order to afford FMR for a two-bedroom unit ($785), without paying more than 30% of income on housing, a household must earn $2,617 monthly or $31,400 annually. Assuming a 40-hour work week, 52 weeks per year, this level of income translates into a Housing Wage of $15.10 (Out of Reach Report, 2006). In 2006, the Inter-Faith Council served 85,055 hot meals; provided 7,726 bags of groceries to 7,187 members of the community; granted 3,500 requests for food, cash, and help with utilities and other service needs representing more than 2,100 households; and offered 813 homeless individuals a place to sleep through its Community House and HomeStart program. Neighbor House, Inc. distributed at least 17, 680 dinners to members of Northern Orange County through its Food for All Program in 2006. They are currently serving an average of 85 meals per night, four nights per week. In 2005, the Community Initiative to End Homelessness received approximately $275,000 to provide permanent housing to homeless and disabled individuals or families. The funding is shared among OPC Area Program, the Chrysalis Foundation for Mental Health, Inter-Faith Council for Social Service and UNC Horizon’s. The CIEH applied for additional homeless assistance funding in 2006, but award letters have not been received as of 2/13/07. I’m trying to find how the $275,000 in Community Initiative to End Homelessness funds were actually dispersed. Thanks Teri for shining a light into the shadows, please keep the posts coming. [UPDATE:] The video below streams from my site – here’s the Google Video that streams faster. Here’s the complete “debate” Council held on the Lot #5. Note how quickly the expedited SUP application was approved. As Chris pointed out, the CDC reviews development projects and provides feedback to developers prior to Council. Chris has long familiarity with many of the projects coming before this Council – projects the Council has generally been satisfied with, at least as far as general design goals. Council should weigh this members counsel in light of that experience. UNC’s Board of Trustee Roger Perry: You’re Insulted? Perry is insulted when someone outside of UNC questions the whys-and-wherefores of campus development? What the hell? Near quoting from the authoritarianism playbook, Perry says he likes a community that doesn’t question the diktat of the university – a community that just “deals” with the university’s negative impacts. Perry appears to long for the day when citizens “shut up” and STOP SAYING they aren’t really convinced about what the university needs to do. My guess? It isn’t the citizen taxpayer questioning the “needs” as much as the citizen taxpayer that questions the “hows” that really inflames his ire. The obvious sub-text is Carolina North. The fine residents of our community, the hard-working taxpaying citizens of our State, deserve more than the University’s current flimsy assertions of positive financial, economic and social impacts. From a straight business perspective, for the investment demanded of our community and State, the return is hardly clear. While I believe the University needs to expand, I have been quite clear that the justifications UNC, to-date, have offered up for Carolina North are, at best, fundamentally weak, at worse, downright disingenuous. Of course, this is the board Carolina North’s designated quarterback Jack Evans claims can’t handle reading a 15 page list of development principles for Carolina North. What a trip for the Carolina North boys. Perry’s “shut up” is a fine bookend to Moeser’s reaction to “freelance dissent”.